A user asked our chef for help cooking pork spleen. We cooked them in four separate batches, each spleen separately. We used the same times as with liver, given that the textures are quite similar. We tried cooking from 1 hour at 65º to 4 hours at 65º. 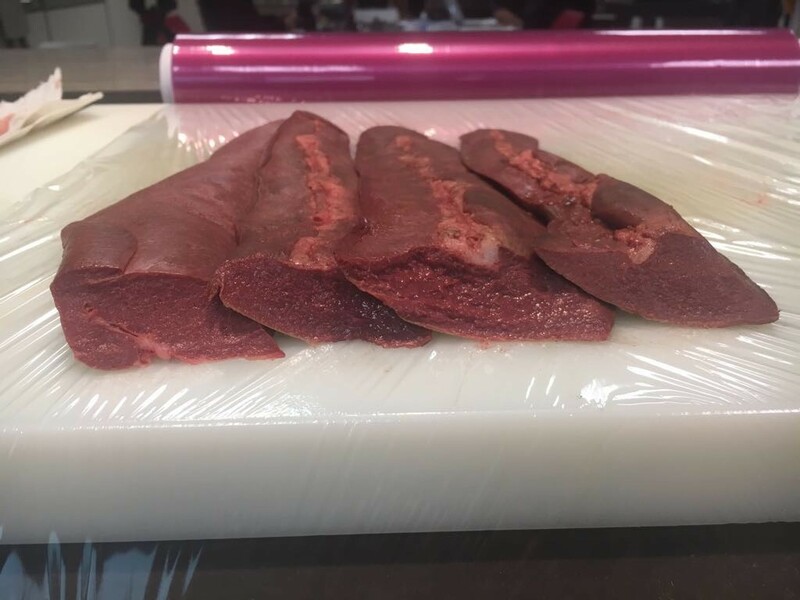 We think that the best texture is achieved by cooking the spleen for 1 hour in the SmartVide at 65º. In the following image, the spleen cooked for one hour is the one on the left.